It is said that flags were introduced in time of war, where they were used to assist with military co-ordination on the battle field. Whether it be signaling an attack or a retreat, as well as organizing troops and military positions on a battle field. Flags have been found from the 3rd millennium BC, and found in all shapes, sizes, and made out of different materials, such as bronze and paper. Over time, flags have carried more meaning. They aren’t just used for signaling, but are also used for advertising, as well as to symbolize different organizations or countries. Every country in the world has a flag that symbolizes them, and in some countries, you may find certain states within that carry their own flag – like Catalonia in Spain. Flags from around the world all hold special meaning to each country, and designs have been chosen specifically to symbolize what the country stands for. Some flags may stand for Freedom and Democracy, while other flags may depict historical events, and others may have religious meaning. What I love about the Tanzanian flag, is that it stands for none of the above, but rather stands for the people and the natural resources (land and water). After all, that is what makes up the country, and I feel, is the most respectful and beautiful way of symbolizing a country. The green triangle in the top left stands for the agriculturally rich farms in Tanzania (Agriculture being about 24% of the GPD), as well as standing for all of the protected land set aside for wildlife. About one third of the land in Tanzania is protected in one way or another (and some may argue that the number is higher). Tanzania is the largest East African Country, and the 35 largest in the world, so to set aside that much land for wildlife, is simply amazing. 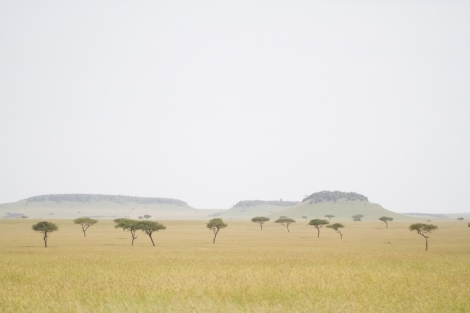 Tanzania has 16 National Parks; whose combined area is larger than countries like the Netherlands and Denmark. 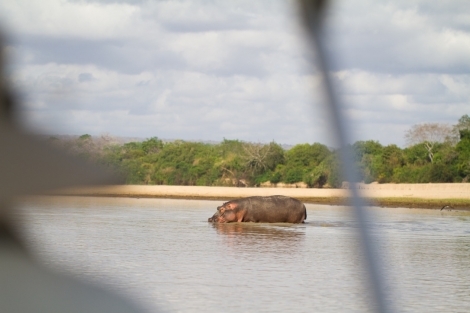 Tanzania also has 17 Game Reserves, the biggest being the Selous Game Reserve, and is the largest protected game reserve in Africa, single handedly larger than Switzerland alone. The blue triangle on the bottom right stands for the Indian Ocean and all of the bodies of water in Tanzania (Rivers and Lakes). The three largest lakes on the African continent all make up the western border of Tanzania and play a pivotal role in day to day life. Lake Victoria is the largest freshwater body in Africa (second largest in the world), Lake Tanganyika is the longest freshwater lake in the world (2nd largest in the world by volume, 2nd deepest in the world and the 2nd oldest lake in the world), and finally Lake Nyassa, which is the second deepest lake in Africa (9th largest in the world). 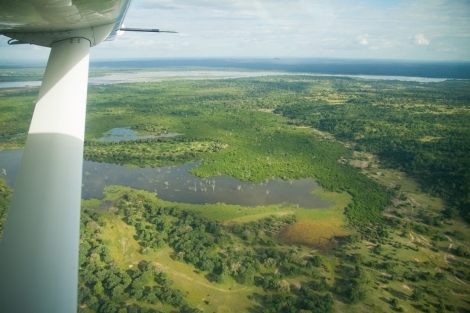 Tanzania also has a large number of rivers that feature in the top 10 longest in Africa, most notably known is the Rufiji River which is uniquely Tanzania. It flows from southwest Tanzania and drains into the Indian Ocean. 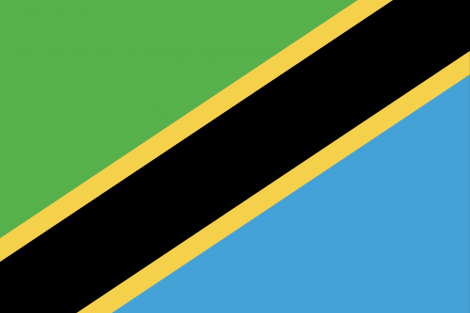 The thick, diagonal, black line in the middle relates to the strong cultural identity of Tanzania. There are over 120 different distinct ethnic groups and tribes in Tanzania, each which their own language. Most Tanzanians would speak a minimum of three languages, whilst other may speak four or five. 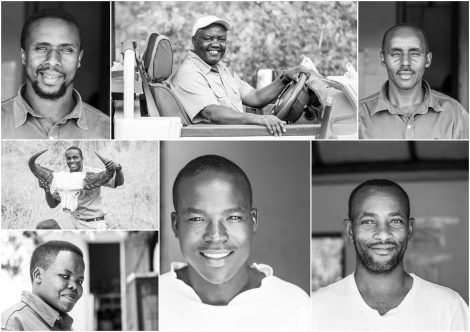 All of the tribes are spread all across Tanzania and are generally built up of famers, hunter gatherers or pastoralists, although many are working in the tourism sector as many have a huge passion for wildlife and conservation. (At Lamai, our staff come from over 10 different tribes and they are the happiest people I have ever met). Lastly, you have 2, golden diagonal lines, one on each side of the black band, that symbolizes the mineral wealth that Tanzania has. Home to the only knows site of Tanzanite (named after Tanzania), this gem is 1,000 times rarer than diamonds and can only be found in one place on earth – Merrerani hills in Northern Tanzania. Tanzania is also home to many other precious and semi-precious gems and metals such as Diamonds, rubies, emeralds, sapphires, gold as well as having its own natural gasses. Tanzania is a vast country, filled with such diversity in culture, wildlife and geography, we are lucky to call it home. It surprised us every day, teaches us every day and makes us stronger each day. I hope you were able to learn a little bit about this amazing country, and who would have thought you could learn all of this by learning about the flag? How well do you know your flag?